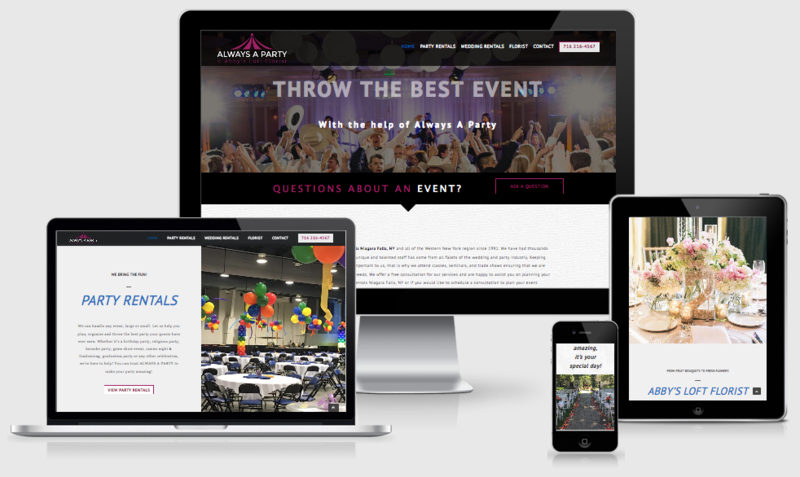 Always A Party is a large, one-of-a-kind party rental business and florists located in the heart of Niagara Falls, New York. Throwing the best parties since 1991, they’ve been providing everything from casino nights to raise money for charity to game show nights as a corporate team building exercise. In addition to party rentals, Always A Party has a complete end-to-end wedding rental and wedding planning service. Everything needed for a couple’s special day from the wedding DJ, tuxedo rentals, wedding decorations, centerpieces, balloon art, linens and lighting invitations and even the wedding flowers. Abby’s Loft florist has a complete line of beautiful floral arrangements. Open year round, they have wedding, sympathy, seasonal and all occasions. 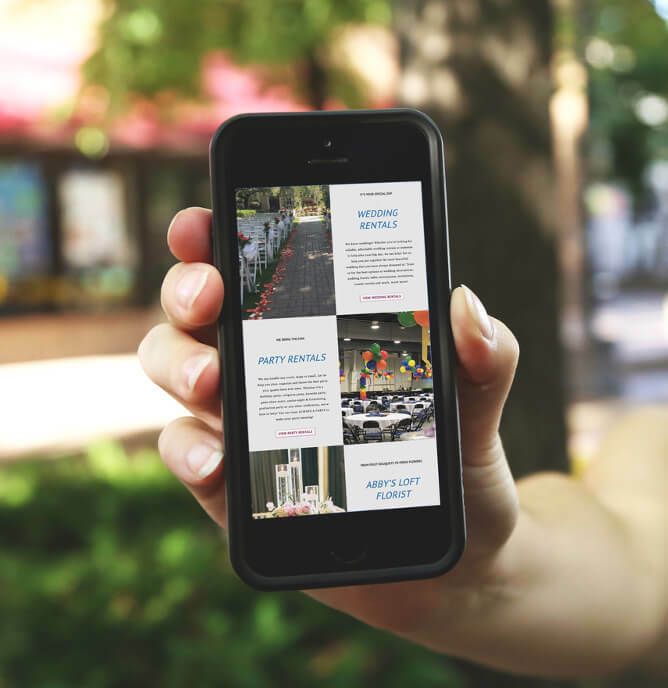 A responsive website allows visitors to search and find Always A Party and Abby’s Loft Florist from any device on any screen size. 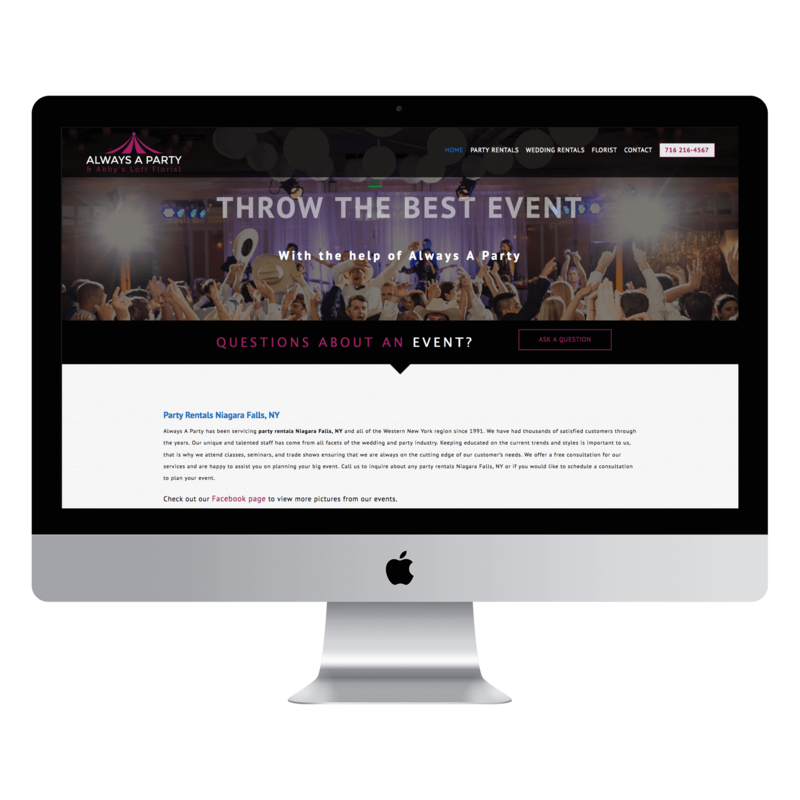 Always A Party was in need of a updated responsive website, and also needed a new logo combined with an internet marketing campaign. The team at BIG Waterfall went to work immediately and designed a logo that combined their party rental and florist business into one. With the two businesses combined, Always A Party and Abby’s Loft Florist provides over 15 separate services which we split into three main categories. We designed this responsive WordPress website to be easy to navigate, with an SEO campaign that reaches new customers through the search engines and social media sites. 99% OF KEYWORDS ON 1st PAGE OF GOOGLE. Responsively adapts to any screen size. 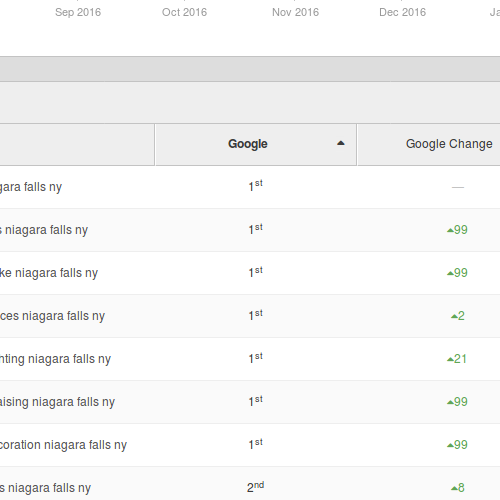 GEO-Targeted SEO Campaign across Western New York. Unique content is optimized toward client reach. Customers are able access site through multiple doorways and quickly fill out a contact form. Primary colors are a combination of white and a pinkish-purple, with “Always A Party” in bold caps in white and the “& Abby’s Loft Florist” in the pink-purple below. This logo was developed by analyzing the party rental industry and by defining the two separated businesses under one roof, over multiple designs and revisions. 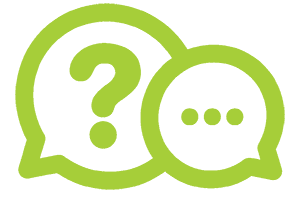 DO YOU HAVE A PROJECT WE CAN HELP YOU WITH?